Matt’s sauces are always a little different from the run of the mill, his sauces remind me of some of chillipepperpete’s range, a bit wacky, not afraid to do something other then the norm. Dare I say a bit like Matt himself. 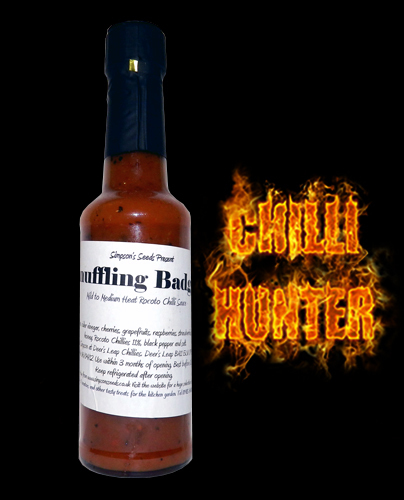 This sweet sauce really is gorgeous, a myriad of flavours with a light kick of pepper, I could drink it from the bottle. To be fair to my scoring system I’ve knocked a point of this one as I personally would have liked it a little hotter but Matt’s sauces are all about flavour, not blowing your head off.